The 700 Club Show on TBN is getting the word out about dark chocolate. Recently the 700 Club had an author who wrote a book about the benefits of dark chocolate on the show. I personally have already been eating Beyond Healthy Chocolate for five years. The antioxidants in the dark chocolate have improved my health at least according to my blood results from Quest Diagnostics over the last four years. Right now I am actually on a chocolate diet! The Healthy Chocolate Company chocolate diet was actually featured on the cover of the Bariatrician, The American Journal Of Bariatric Medicine. The average person during the 12 week study lost over 31 pounds and 5 inches around the waist. The Beyond protein shake is high in antioxidants and polyphenols and has 21 grams of protein. Right now I am replacing two meals a day with my Beyond protein shake. I can enjoy healthy chocolates for cravings as needed–power squares just 33 calories each. I have a normal healthy dinner, up to two snacks a day and I am drinking approx. 8 glasses of water a day. My mood is great. 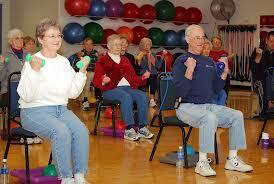 I am exercising at least 20 minutes a day. Even a simple walk is okay. If you have not read Dr. Will Clower’s new book Eat Chocolate, Lose Weight: New Science Proves You Should Eat Chocolate Every Day, I highly recommend you order it. It is available on Amazon at a great price. Also make sure you order the only healthy chocolate made by the healthy chocolate company. The Beyond Healthy Chocolate Company products are made with cold pressed chocolate. Not only is Beyond healthy chocolate NOT heated or dutched, it also does not have waxes, fillers or processed sugars like candy chocolate. It is gluten free and diabetic friendly. Many of the chocolates are suitable for vegetarians. the best wholesale price. It is also available on Amazon but ordering as a customer at MyChocolateVitamins.com has it’s perks. When you order here, you are eligible for free shipping with monthly home delivery. Order monthly delivery and every third month for the first year you will receive a FREE product! The most cost effective method is to order direct here. Any questions, call Lynette Henk, Beyond Healthy Chocolate Company gold executive member. I can be reached at 941-216-5727, by email at [email protected] or at MyChocolateVitamins.com. You deserve the best. Make sure you are eating cold pressed healthy chocolate 3-4 times every day. Spacing out your chocolates morning, mid day and evening ensure that you are always keeping antioxidants in chocolate in your system. Order your chocolates today. I highly recommend the Beyond nugget, Power Square or Xolove Chocolate love bites. 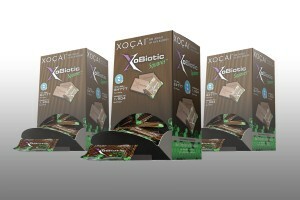 My absolute favorite is the Xobiotic and my hubby’s favorite is the nugget which is our most popular chocolate of all. snack, Xobiotic chocolate with a probiotic, omega chocolate with flaxseed for omega 3-6 and 9, the Xe healthy energy drink and the Beyond chocolate diet protein shake. PreviousEmbarassed About Varicose Veins At Boca Grande Beach? Simple Solutions For Varicose Vein Health Issues. NextDon’t Eat Processed, Dutched Or Cooked Dark Chocolate: Go Cold Pressed!